The High5 Sportsbars Box of 25 provides a few rides worth of energy in a choice of delicious flavours, including caramel and berry (yoghurt coated). This is a carbohydrate sports bar thats only 10% fat. SportsBars are real food rich in fruit & grains and they taste great. They provide a balance of simple and complex carbohydrates for fast and sustained energy. 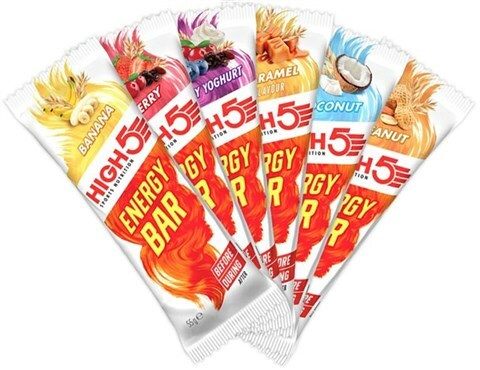 SportsBars are a great tasting snack enjoyed by thousands of athletes.